The New York Times bestselling author Tim Lebbon tells The Horror Zine how he got his start and what he is doing now. Tim also shares tips for new writers! JEANI: You’ve been a best-selling author since 1997, with your first novel Mesmer. What made you decide to become a writer? TIM: I don't think I really decided, it just happened. It wasn't a case of me sitting down and thinking, right then, what shall I do with my life? Airline pilot? Plumber? Guitar manufacturer? Writer .... yeah, writer. I've always loved writing, from a very early age––I guess I was writing my first stories when I was still in single digits. It progressed, and the love of writing grew in my mind and is still growing. Doing it full-time, there are different stresses and tensions, and the business side of it comes to the fore sometimes. But I still love it, and I'm always thankful that I can do what I do and make a living from it. JEANI: How did you begin the process? (For example, did you submit short stories to magazines, or did you start out with a complete novel, etc). 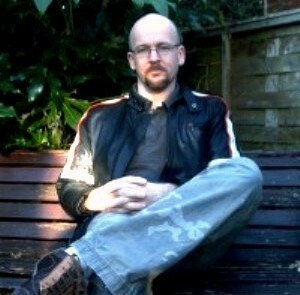 TIM: I wrote shorts stories for the UK small presses of the 1990s. Theses were magazines––sometimes with covers and artwork, sometimes just photocopied and stapled––that rarely paid, and had circulations of a couple of hundred, run by people passionate about short stories. The editorial input was sometimes good, and at other times there was barely any. The magazines had names like Peeping Tom, Psychotrope, Grotesque, Black Tears, Dreams from the Stranger's Cafe ... I'm sure some people reading this now are nodding nostalgically. I guess I had maybe 40 stories published before my first novel Mesmer was picked up by Tanjen. Following on from that were more short stories and novellas, then more novels, and over the past few years I've been writing only a couple of short stories per year. JEANI: All writers receive rejection notices when they first start out. Did you get your share of rejections in your early days? And what advice can you give to new writers who are feeling discouraged over their own rejection notices? TIM: Hell, I got hundreds of them, and I still get them now. Everyone gets rejection letters. They should make you stronger––I wrote dozens of stories trying to get into the magazine The Third Alternative, and eventually got there, and I think I improved immensely doing so. Take positive comment from rejections, and don't let them grind you down. They're as much a part of the learning process as anything, and a good writer never stops learning. JEANI: You were once quoted as saying: “Gradually over the years I've become more serious about [writing] until now it’s an obsession: it’s no longer that I want to write, I have to.” Can you expand on that? TIM: I think most writers will communicate a need to write. I need to write, both from a psychological perspective––it's the way my parents put my hat on––and now from a professional perspective too, so that I can earn a living and so continue doing it. But if I wasn't making money from my writing, I'd still write. It's what drives me, and what makes me able to function as a (relatively) normal human being. I believe that storytelling is one of the most important aspects of being human––it requires empathy for others, appreciation of different outlooks, and an ability to think beyond your own self-contained world. And all of that is very, very healthy. I'm very lucky to have made many life-long friends through what I do, and writers are amongst the strangest people I've met, and also the nicest. 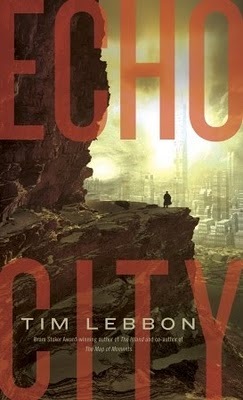 JEANI: Your newest best-selling novel, Echo City, is a fantasy about an ancient city in a vast, empty desert. How do you shift between the fantasy and horror genres so seamlessly? TIM: Well, I wouldn't say it's best-selling just yet, but I keep my fingers crossed. As for shifting between genres, I really don't see it like that at all. It's not a shift, more of a drift, and sometimes it's barely noticeable to me. I'm tackling some of the same ideas, the writing is the same, the only real difference is setting. With my horror novels, they're generally set in a recognizable world. Fantasy novels are set somewhere else. There are challenges to both, of course, and that's why I enjoy being able to drift back and forth. Lines are blurred, if there at all. That's a good thing. JEANI: I understand there are two (not one, but TWO!) films in progress, one based on your short story Pay the Ghost and the other on your novel The Secret Journeys of Jack London: The Wild. Can you tell us how it feels to move from novels to the silver screen? TIM: It's fantastic. Writing screenplays is something I've dabbled in over the past few years, and I really enjoy it––a very different process, but still storytelling. So when Fox2000 optioned the Secret Journeys of Jack London series (which I'm writing with my mate Chris Golden), and hired us to write the script, I was thrilled. From dabbling, to writing for a major studio in the blink of an eye. It's been a thrilling process, and my learning curve has been steep. I'm sure it'll lead on to more projects, and I see screenwriting becoming a larger part of my future. I'm already writing another screenplay of my own, collaborating on one with Steve Volk, and developing a couple of TV series ideas with other collaborators. Pay the Ghost is being developed by Sidney Kimmel Entertainment and someone else wrote the screenplay, but the producers are still keeping me in the loop. The perfect situation is that they both start shooting next year, but film-making involves a series of hurdles. I have high hopes for both, and I think the Jack London series especially could turn into a series of major blockbusters. JEANI: Who have been your influences? TIM: Many and varied. Arthur Machen, Stephen King, Willard Price (from my pre-teens), Clive Barker, Algernon Blackwood, Graham Joyce, China Mieville ... I think any writer picks up influences, but the older he or she becomes, the greater and more defined his or her own voice. JEANI: How do you discipline yourself about your writing? Do you spend eight hours a day at your computer, or do you write when inspiration hits? TIM: My writing is shaped around my family––two kids in school, and my wife who is just returning to work after a few months off. So I write for a few hours through the day, then often do more work in the evenings, which usually involves talking to Chris Golden (my collaborator in the USA), emailing, or working on proposals or new idea. I usually try and hit 3,000 words in a day when I'm working all-out on a new novel. JEANI: What advice would you give to a new writer about coming up with ideas for a novel? TIM: Take something that really interests you, that feels like a proper, fully rounded idea, and don't worry about how other people will perceive it. Write through difficult parts of the book ... coming out the other side will often give you what you need to go back and fix the problem part. JEANI: What suggestions would you give to a new writer about finding a literary agent? TIM: Research who you're approaching, and find out what they ask to see as a submission (usually a proposal, cover letter, and first three chapters). Don't pay a reading fee. Give them a couple of months to respond to you before querying them a second time. Send to three or four agents at a time. JEANI: All new writers want to know what they can do to make their work stand out from the slush pile. Any advice? TIM: Get an agent. Seriously, submitting stuff unagented means it will end up on the slush pile. An agent is the first quality filter, and a good agent is worth his or her weight in gold, as they'll often know the editors on a personal level and will be able to talk to them directly about the project. JEANI: Of all the books that you wrote, do you have a favorite? TIM: Eek. Well, there are lots that stand out for different reasons. I think Echo City is my most accomplished dark fantasy novel yet. I think Chris and I did something special with The Map of Moments, and the Jack London novels are something I'm so excited about. My novella The Reach of Children is perhaps the most personal thing I've written, based very heavily around my mother's death. 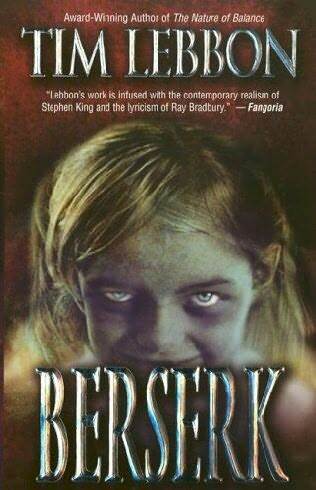 And my new horror novel Coldbrook is, I think, probably one of the most action-packed and exciting novels I've written. JEANI: Tim, can you please tell us something personal about yourself? Your hobbies, recreational activities, and your favorite vacation spot? How about your favorite movie? TIM: My hobby is writing. My life tends to revolve around that, and my family. We walk the dog a lot (a donkey-sized monster called Blu). I go running, and am trying to exercise a bit more. It's easy sitting behind a desk drinking coffee and eating biscuits. My favorite TV ever is The Shield, I think that series was fantastic and the final 3 or 4 episodes are simply sublime. Movies ... I love movies, picking favorites is very difficult. But fave horror movies would include The Thing, Jacob's Ladder, The Haunting .... the list is long. JEANI: How much fan mail do you get? 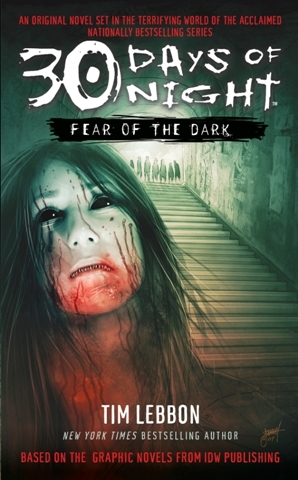 If one of The Horror Zine readers wants to send you a fan letter, to where can he/she send it? TIM: I get quite a few emails, and that's very nice. Always makes my day. Best to send an email to my address which is lebbon1984@yahoo.com I have had letters, but not so many these days. JEANI: Is there any more advice you can give to struggling writers, poets, and artists who haven’t yet made it to your level of fame? TIM: Fame? Ha! My advice is to carry on. If it's something you love doing, you'll carry on anyway. And if you carry on and you're good at it, aim to continuously improve, and you'll be noticed. Tim Lebbon was born in London in 1969, lived in Devon until he was eight, and the next twenty years were spent in Newport. He and his wife Tracey and did a Good Thing and moved back to the country, and they now live in the little village of Goytre in Monmouthshire with their kids Ellie and Daniel. Two minutes’ walk in any direction and they are in the countryside, and the area has featured, intentionally or not, in much of Tim’s writing. 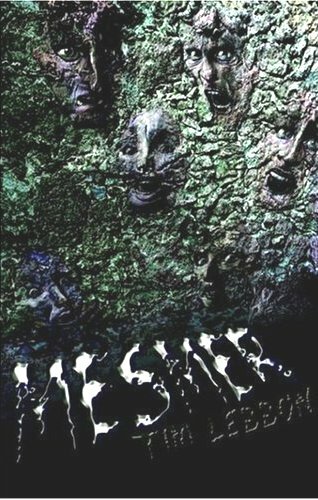 Tim’s first published story was in the UK indie magazine Psychotrope in 1994, and in 1997 Tanjen published his first novel Mesmer. Since then he has had over almost thirty books published in the UK and US by Bantam Spectra, Allison & Busby, Night Shade Books, Simon & Schuster, Leisure Books, PS Publishing, Necessary Evil Press, Cemetery Dance and many others. You can visit Tim Lebbon’s official website HERE. You can see all of Tim Lebbon’s books HERE.